Can music help a stroke survivor? For many people with aphasia, being to sing when they could not speak was the most joyous realization in their recovery. This is because speech is processed primarily in the left side of the brain, but music is processed in multiple parts of the brain. Some of these overlap with speech centers and some do not. Motor recovery is perhaps an unexpected outcome of music therapy. Rhythmical music can help to increase movement and improve muscular control. For example, playing a drum can increase the range of motion of the arm, or walking to the beat of the music can help to increase control of the muscles. In addition to walking, music therapy can also promote hand rehabilitation. This is the theory behind the MusicGlove. 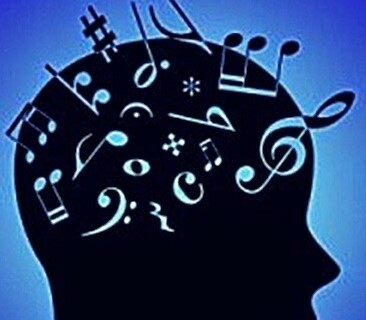 Listening to music has also been linked to improved cognition, including attention span, memory, organization, and ability to solve problems. Music is highly engaging and activates multiple parts of the brain simultaneously. This makes it perfect for helping people with left-side neglect and difficulty with attention. Music can be used to capture someone’s attention (focused attention), hold it for a period of time (sustained attention), and get the survivor to switch back and forth between two things (alternating attention). Music plays a large role in mood for many people. Musical pieces can elicit pleasant emotions that are rooted in life memories. Music that evokes memories of pleasant interpersonal connections or achievements can elevate the mood by increasing relaxation, overall motivation, and helping to distract from the pain. Positive mood has been shown to play a significant role in stroke recovery. MedRhythms -- a music-rehab company based in Boston and Portland, Maine -- offers its services throughout New England. Contact the American Music Therapy Association or email them at findMT@musictherapy.org.